This fun take on gingerbread houses will have your mouth watering! Don’t miss this magically delicious activity. 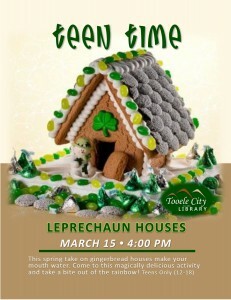 Embrace your inner leprechaun and take a bite out of the rainbow! You. Your Time. Teens only! For 12-18 year olds.